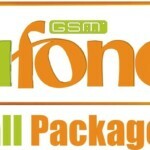 Ufone Super Sasta Package is already activated for the new users and MNP customers.If you are a long time user of Ufone, you can get this offer by dialing *5678# from your pre-paid connection and enjoy unlimited calls, SMS to any network.It also provides you unlimited internet at low rates. To make calls to any network, you have to pay 85 paise plus tax per 30 seconds for 24 hours a day, without any daily charges.Rs.2.03 including tax will be priced per SMS. You can also enjoy unlimited 2G and 3G internet at Rs 2+tax/Mb. Other than this per call setup charges will be 15 paise plus tax.Rs.10+tax will be accused if you convert your price plan to Ufone Super Sasta Package.FED taxes on recharge and other usages will apply according to regions.Additional 0.85% on all services and packages will be charged in Islamabad, Gilgit-Baltistan, and FATA. Offer is only valid for pre-paid customers.SMS and calling rates are same for both on-net and off-net numbers. No Voice offer is accessible in this bundle.If you subscribe to Ufone Super Sasta Package, Uth packages or pack are not available.This package also includes International Direct Dialing, Data and SMS Buckets & offers. Ufone Super Sasta package is no doubt the best price plan by Ufone for its prepaid customers.Ufone is delivering what it has promised. Day by day they are facilitating their users with attractive and affordable packages, and now Ufone Super Sasta package is here to offer you lowest calling rates on any network.So hurry up, grab this offer now and if you are not a Ufone customers, get your pre-paid sim from your nearest Ufone franchise.